FYI : Put the extracted .szs in "(ROM Directory)\data\content\Model"
You now put on mario's clothes, and start saving "peach". Hello, I am an active level maker on SMMDB so I thought, why not make a thread here for y'all. Here are all my levels in no particular order. [SMW] [The Dare Saga 1-1] [Expert] : The kind of level you get when you play a 100 mario challenge. This was my first level and is utterly garbage. You can try it if you want. [SMW] [The Dare Saga 1-2] [Expert] : Another level by me featuring puzzling route to finish. [SMW] [The Dare Saga 1-3] [Expert] : A small kaizo challenge with a mild troll. [SMW] [Mr.Mole The Taxi Driver] [Normal] : A level based on surfing a cannon "taxi" driven by a mole. [NSMBU] [Rest In Peace Mario] [Expert] : A challenge level featuring very hard challenges. [NSMBU] [Tricky Terrains 1-1] [Normal-Expert] : A well thought out level with many tricks to master and enjoy ! [NSMBU] [Tricky Terrains 1-2] [Normal-Expert] : Another level with many tricks to master and enjoy ! [NSMBU] [Tricky Terrains 1-3] [Normal-Expert] : Another One. [SMB] [Shell We Jump ?] [Expert] : A level with shell related challenges. One of my best levels till date. [SMW] [Kaizo Rush : Hypothermia] [Expert] : A short kaizo challenge to warm up your kaizo skills. [SMB3] [Arising Anomaly 1-1] [Super Expert] : Another one of my best levels but crazy hard kaizo is present in the level. [SMW] [Kaizo Krash Kourse : Basic] : A kaizo training level with infinite checkpoint system. This is currently the most starred level on SMMDB. [SMW] [Kaizo Krash Kourse : Advanced] : The sequel to the KKK : Basic with more techniques to master ! To download any of the courses, please download the SMMDB [smmdb.ddns.net] client and filter the levels by the maker name "TheNawab"
Posted on 12-17-17, 07:58 am in wii u Remove the Music! I had some spare time, so I translated the names of staticskin.pack files so the theme makers don't have to look for specific things. The list is huge so use Find option in your browser to find a filename. coinrotate = Rotation Sprites for different coins. Posted on 01-02-18, 08:49 pm in StaticSkin.pack Files Info. A fun NSMBU platforming experience with two paths. One for casual and one for those who like a bit more challenge. The level revolves around tricky platforming and some mini-games. Not too hard but not too easy also. Hope you all enjoy it! My first level for participation is this one. Posted on 01-14-18, 06:44 pm in Mario Making Mods Level Design Contest #1! Definitely hard, after a while I think I'm still only 2 or 3 coins in. Maybe I'm on the hard path. Red coins is the hard path for true ending. You can totally skip them if you want to. If you are enjoying it, a star on SMMDB will be appreciated. Thanks for playing. Are you sure you don't want to make tracks invisible ? Yep. I don't think it's a good idea to make them invisible because then people can't see their tracks. Finally someone understands the importance of tracks. Whew. Looking forward to the Wii U port. EDIT [13/03/18] : Made some adjustments to make it look pleasant after activation. Nothing much has changed. I made a version with storage of up to 3 items. 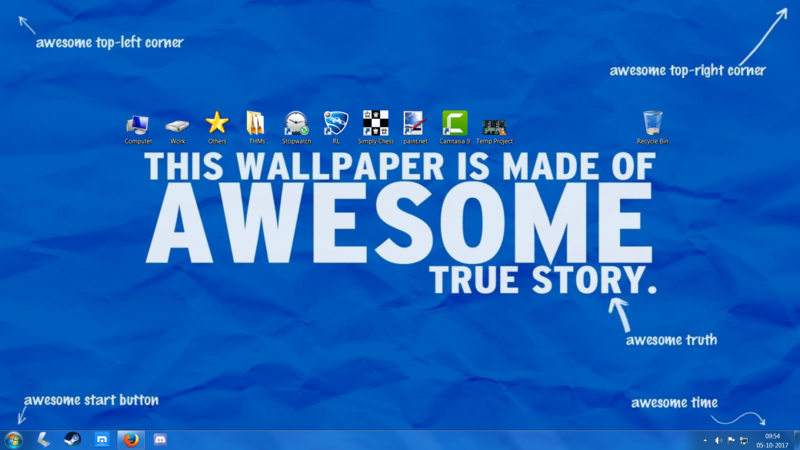 It's also 3x3 size and works in every theme. The limitations are ofcourse lack of GP activation in NSMBU & no way of storing more than 3 items. But you can acquire a Shell-met in SMW style if you have a yoshi; as Yoshi will eat it through the blocks. 3. Put coins in the corner blocks so they don't turn into used blocks and look ugly. 4. Put a sideways spring in the middle hollow part. You can also put a vine behind it to cover more of the background. 5. 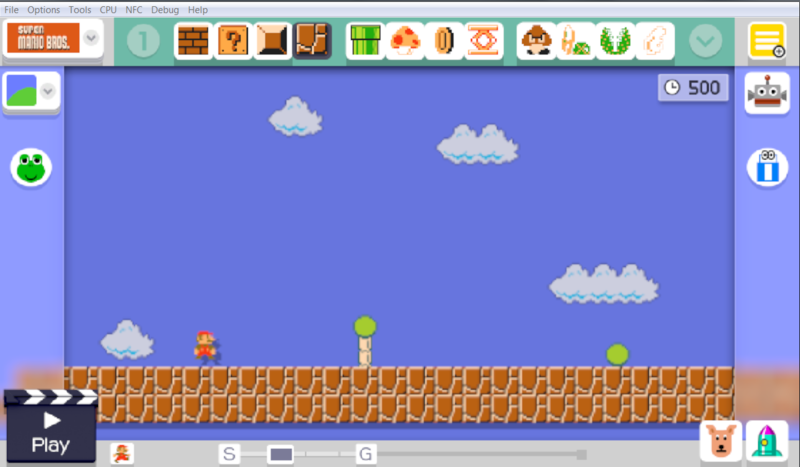 Now put a spiky or buzzy shell-met in the middle bottom question block, where the player must hit to activate the mega block. 5. Why are you still reading this? You learnt how to make it.. now incorporate it in a troll level.. off you go! Nice work! Loving the new tracks! Wow! This looks promising. Will definitely keep up with the progress news. However a suggestion for ya, the world map looks a little bit bland in the videos you posted. Hope it gets improved upon. Good luck! So recently, I was watching a Twitch streamer play a level which had a very intriguing glitch. IDK if this was possible before the latest SMM (Wii U) patch [1.47] but here is how it works. It's not very hard to recreate but it has some potential for puzzle and troll levels. - First place a semisolid anywhere you want, it can be of any height and length. Next, place ground tiles all above it leaving a 1x1 area of semisolid's upper part exposed (i.e. where you can stand). - Then you can place any sort of activation mechanic, POW block or a P switch ahead in the level parallel to the height of the semisolid's uppermost part. 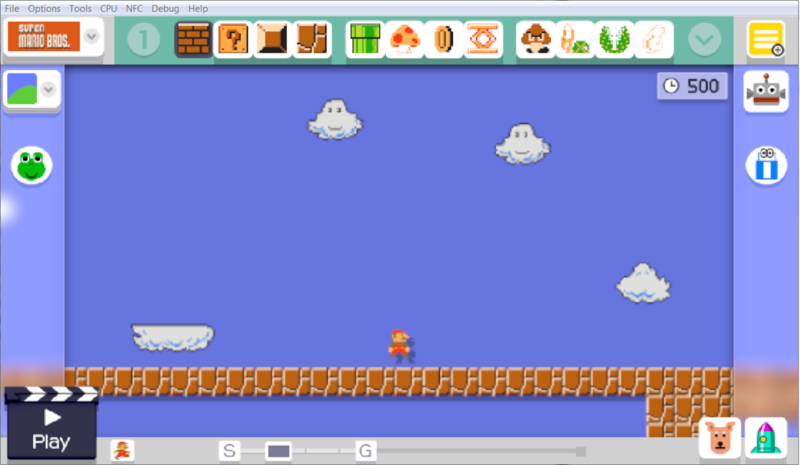 - Cover the mechanic all around with block so it's not possible to access directly by the mario. - Here comes the interesting part, it's completely possible to hit or activate that concealed mechanic by throwing a shell inside the wall. All you have to do is to stand beside the open semisolid area (which we left earlier) then jump and throw the shell right when you are going to touch the wall block at the corner with the shell (see video) and the shell will just go through the wall as if it was sliding on the semisolid's upper part. - The setup I used is not important. The only thing required is the placement of ground and semisolid in that way. - I have not tested this in other styles. Please let me know if you do. - This might be possible in older updates but I noticed it rn. So I made this post. - It's possible even if you don't leave a 1x1 open area for the semi-solid, but it becomes a little bit harder that way. - A new SMB3 All-Stars mod has been released by Omoto. Cool! I like 'em. That first one though, lol looks like Nyoshi is little too much angry. Page rendered in 0.226 seconds (with 1.370 MB of RAM).